You are so gifted. A great photographer, writer and of course gardener. I should also add Mother, to that list. I so enjoy reading the day to day workings of your household. I can’t sew a stitch though, let alone craft a beautiful quilt like your ones! Perhaps that should be my next challenge? I did cash in my credit card rewards points to buy a sewing machine this year… but apart from making one baby bib (after a lesson from my Mum, who had to show me how to thread the jolly thing!) it now sits in the corner of the bedroom, mocking me. WOW what a great lot of photos…should take my camera with me at 6.30am when I go out to feed the calves! 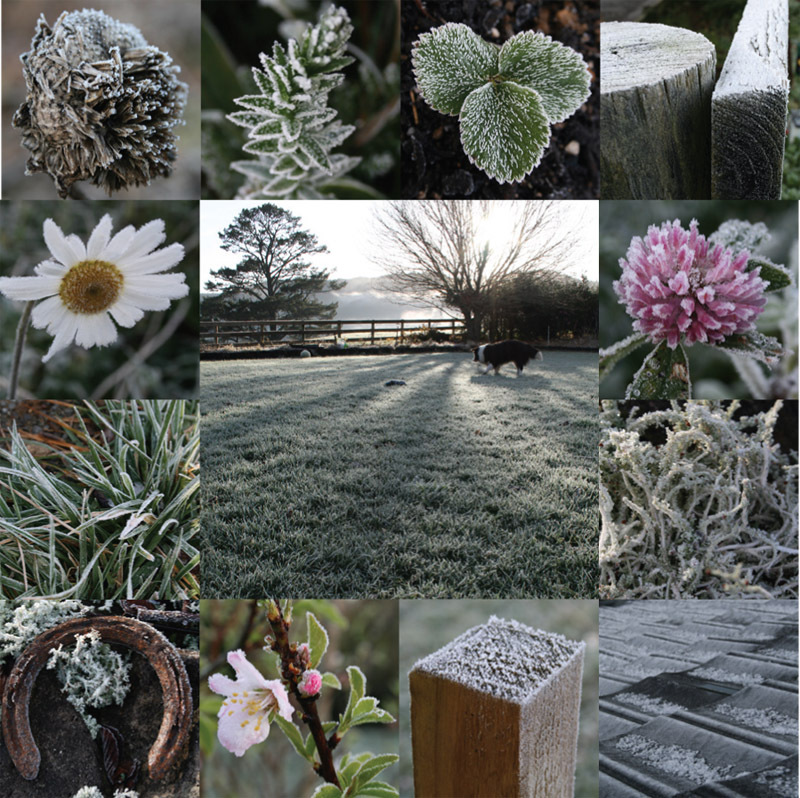 It’s the only benefit to all those early morning starts with Lucas – I actually get up in time to admire the frosts now! And surely you’ve got your hands full with calves without juggling a camera too! I love your writing, and your photos! You make it sound so exquisite, while all the time it is so darned cold!!! We’ve had two more severe frosts since… I never thought I’d live somewhere where the old advice about leaving clods of soil exposed to the frost (to break them up) could apply to me! Who needs to dig? Great photos & descriptions! This snow is just magic! It makes everyone smile (in the North anyway!) and pretty much everything looks beautiful. I’m almost jealous. Here in Golden Bay, we’ve been left out. We’ve had stunning, still, blue-sky weather for days.